There are already two films in the popular Pacific Rim franchise, and now the series is expanding into the world of anime thanks to a new Netflix series. 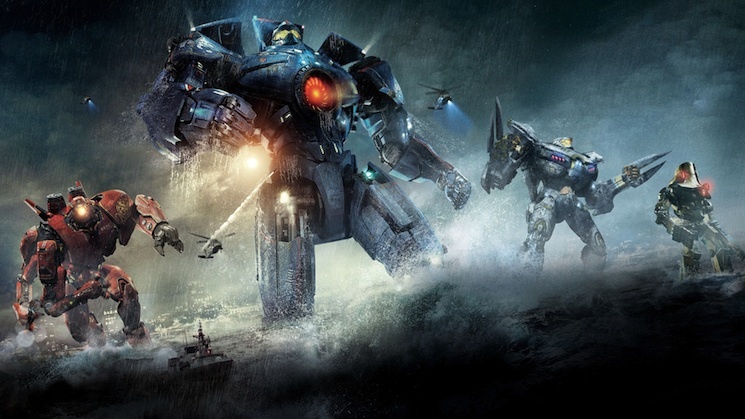 The Pacific Rim anime will be produced by Legendary Entertainment (Kong: Skull Island, Pokemon: Detective Pikachu) and will expand on the first two films as it explores the epic battle between Kaiju and Jeagers. The series will follow a teenage boy and his younger sister as they attempt to find their missing parents. The series will count Craig Kyle (Thor: Ragnarok) and Greg Johnson (X-Men: Evolution) as its two showrunners. In addition to Pacific Rim, Netflix is also turning its own live-action series Altered Carbon into an anime film. That project is being written by Dai Sato (Cowboy Bebop, Samurai Champloo) and Tsukasa Kondo. Netflix is also working on the post-apocalyptic anime Cagaster of an Insect Cage, the Philippine folklore tale Trese and the feudal Japan-set Yasuke, which is being scored by Flying Lotus and stars Atlanta/Sorry to Bother You's Lakeith Stanfield. Stay tuned for more information on these projects as it becomes available.